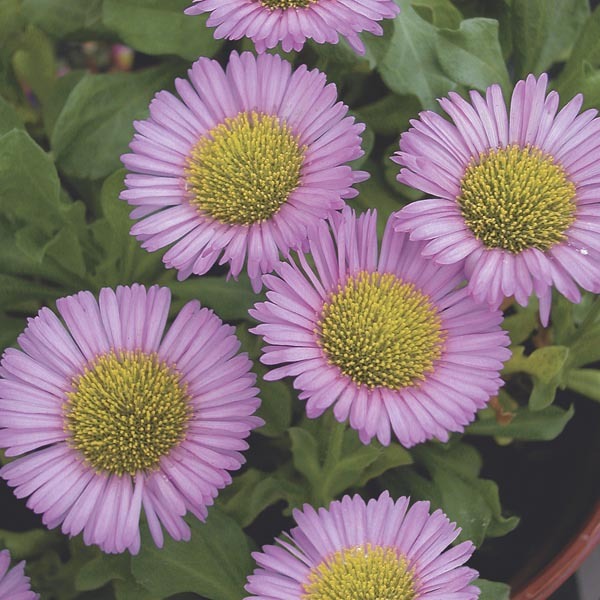 A bushy perennial that sports fringy, daisy-like blooms over a long period. This salt-tolerant species is also known as beach aster and hails from the Western sea coasts of the U.S. Named varieties offer a range of bloom colors and several dwarf options. Makes a dependable mixed border plant. Looks great in rock gardens. Perfect for all kinds of containers. Cut flowers are long-lasting in fresh bouquets. Plant in fertile, well-drained soil. Keep soil moist, watering freely in dry weather. Remove faded flowers. Divide plants every three years for best performance.